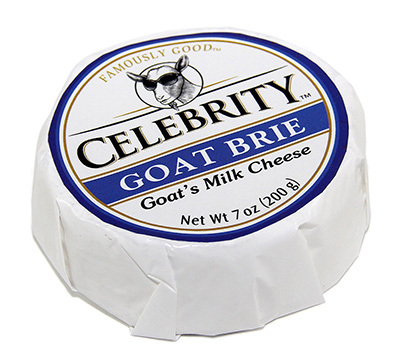 Made with rich, luscious Canadian goat's milk, this double cream brie has a slightly tangy, pearl-white interior encased in an edible bloomy rind. Crafted by a fourth generation cheese maker adhering to a traditional French technique, this velvety cheese has a mild taste with a creamy body and marked buttery notes. Pairs well with a crusty baguette alongside crisp whites like Sauvignon Blanc.